Published July 4 2014 by Bluemoose Books. A girl and a baby. A priest and a poacher. A savage pursuit through the landscape of a changing rural England. When a teenage girl leaves the workhouse and abducts a child placed in her care, the local priest is called upon to retrieve them. Chased through the Cumbrian mountains of a distant past, the girl fights starvation and the elements, encountering the hermits, farmers and hunters who occupy the remote hillside communities. Her goal: ultimate freedom for herself and the baby. Aided in his search by a local poacher and his dog, the priest’s hidden secrets and true sadistic motives become apparent as he closes in on his quarry. 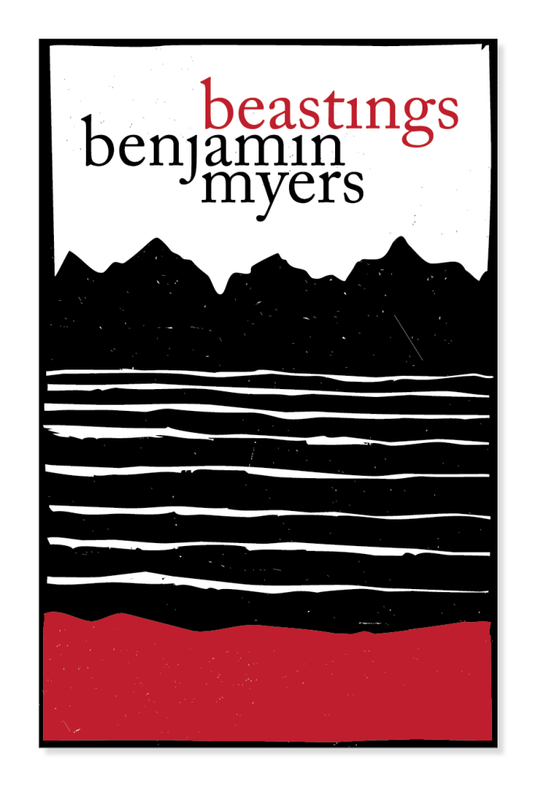 Like an American Southern Gothic tale set against the violent beauty of Northern England, Beastings is a sparse and poetic novel about morality, motherhood, and corruption. Pig Iron was also runner-up in The Guardian’s Not the Booker Prize. Myers’ previous novel Richard(2010) was selected as a Sunday Times Book of the Year. Benjamin Myers was born in Durham in 1976 and lives in Calderdale, West Yorkshire. His writing has appeared in New Statesman, The Guardian, Mojo, Caught by the River, 3:AM Magazine and others. So glad this is not an April fools joke. Summer can’t come soon enough…so excited! I love the retro look cover too.